It appears a number of media outlets around the world have been fooled into spreading fake news about harsh penalties for people who take airport selfies near Phuket International Airport. Early last month, when The Thaiger, and later The Phuket News, broke the news that Phuket’s well-known airport selfie spot would be moved to another section of Mai Khao beach, there was no reference to the selfies incurring the death penalty. A month later, the story has taken on a life of its own, with media outlets around the world claiming that selfie-takers will be put to death by capital punishment. In its original article, The Thaiger reported Phuket airport authorities were looking to restrict photography of aircraft on the northern end of Nai Yang beach, a section of sand known for attracting tourists seeking selfies with landing aircraft. Apichet Buatong, the secretary to Deputy Director of Phuket International Airport (corporate side) Kanyarat Sutipattanakit, has since confirmed that tourists taking selfies will not face the death penalty. “That is a misinterpretation by international media that we are also trying to clear up… We’ve simply marked out the new “safety zone” that we prohibit tourists entering for their own safety,” Buatong told Coconuts Bangkok. 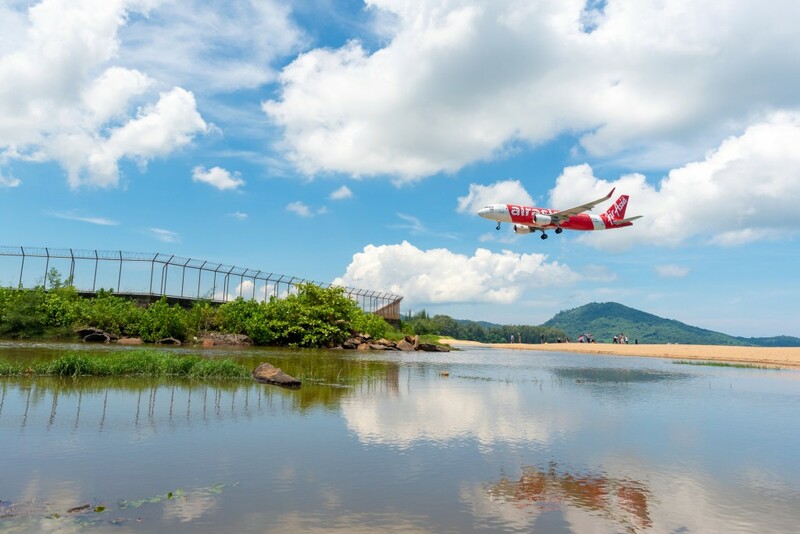 The stretch of beach is incredibly close to the runway at Phuket International airport and offers photographers and travellers the opportunity to snap an image of aircraft as they land just metres away. The Thaiger’s report added that Wichit Kaewsaithiam, another deputy director of Phuket Airport, had declared public access would be pushed back along the beach, to conserve aviation safety. “We want both the income from tourism and the aviation safety to co-exist,” Wichit said. The story then that selfies would lead to capital punishment, comes from Bankgok Post’s article—which several local news providers have cited, including the ABC, news.com.au and TravelTalk—that The Thaiger believes is fear-mongering. “International media are going crazy over a completely nonsense story. But, of course, one outlet posts the fake news and the others copy/paste,” The Thaiger reported. ‘Violators [of the Air Navigation Act] are subject to punishments under the Air Navigation Act. In The Post’s article, Wichit insists authorities must apply strict safety rules as required by the International Civil Aviation Organisation. It is clear then that violators of the Air Navigation Act, not selfie-takers, will be subject to capital punishment. “An article in Bangkok Post from March 8 finishes with an unrelated reference to disturbances to aircraft and pilots. The international tabloids have added 2 plus 2 together and come up with 17!” The Thaiger said.